Your vehicle is private and air-conditioned. You won't have to share with anyone else. You'll meet our driver just outside the terminal building, where he will be holding a sign with your name. Our drivers speak English, French, Spanish and Arabic. When you book, please give us your flight number so we can monitor for any delays. If your flight is late, we will know about it, and we will inform the driver. This means that you can travel without stress, knowing your car will be waiting for you when you arrive. Only passengers are allowed inside the terminal due to security, so your driver will be standing near the taxi area, holding a sign with your name. Our driver will take you directly to your hotel. If your hotel in inaccessible by car, the driver will accompany you by foot. Arriving in a new country where you don't speak the language can be a stressful experience. Our Marrakech Airport transfers make life easier for you, by ensuring that you get from the airport to your hotel or final destination as quickly and comfortably as possible. 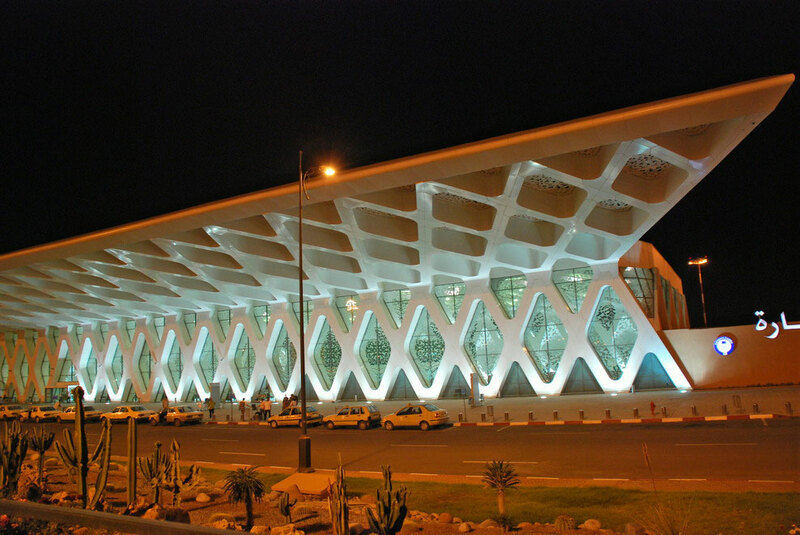 Marrakech Menara Airport is situated south of Marrakech by about 10km. The terminal has been recently constructed, and features an impressive white facade as you can see on the main picture on this page. The inside of the terminal is light and airy, but during the peak seasons the airport can be a bit hectic. Our Marrakech airport transfers take between 15 and 25 minutes, depending on the time of day and traffic levels. The trip from Marrakech Airport to the Medina is a short and comfortable journey. Marrakech Menara Airport is an international hub with connections to many European destinations. There are direct flights provided to most major European cities, operated by a range of airlines. Upon arrival, you will need to pass through Moroccan immigration. This is normally a painless procedure, with visa-free travel available for many visitors, but during the peak season it can be busy and you may have to wait for a while. Don't worry because your driver and vehicle will be waiting to take you from Marrakech Airport to the city. Our airport transfers are always private, and you won't have to share your vehicle with anyone else.